The Market is segmented by Insurance Type. 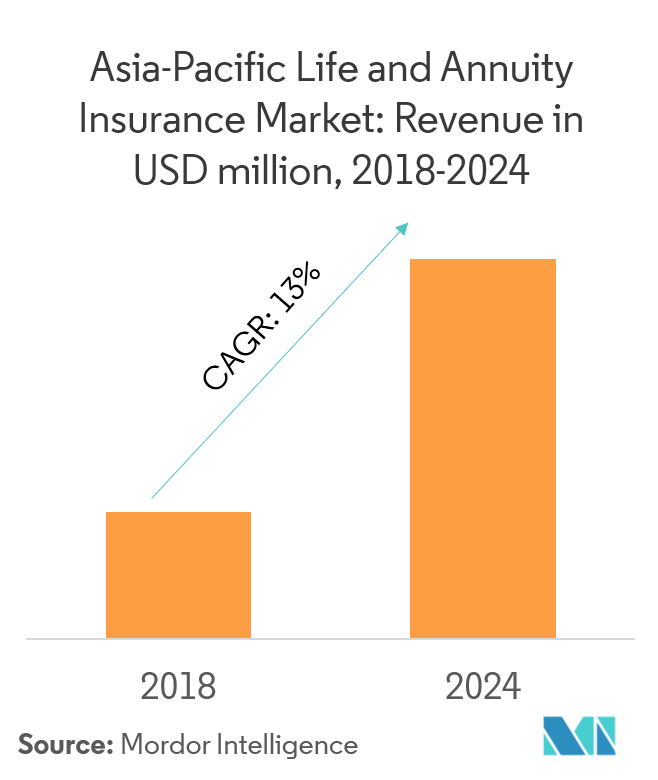 The life and annuity insurance market's CAGR is 13% over the forecast period (2019 - 2024). For life insurance, asset risk is rising due to increasing allocations to higher-yielding non-traditional assets and widening currency mismatches. In the area of regulation, tightening requirements for capital and asset liability management could strengthen the industry's capacity to absorb sudden changes. 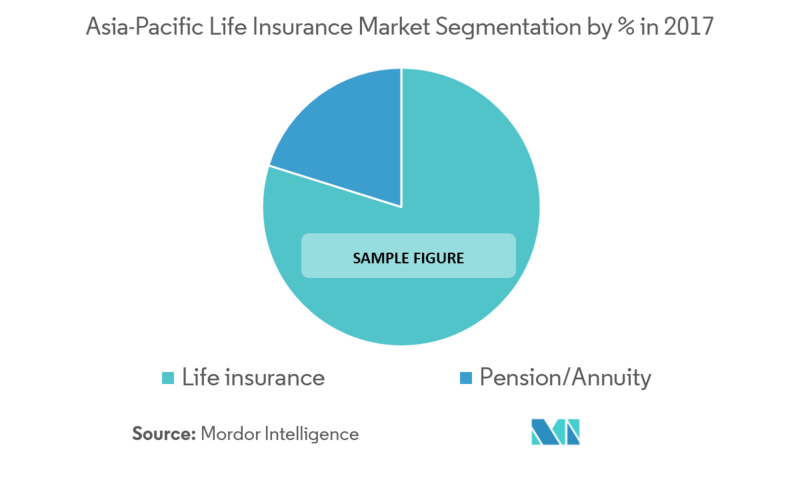 A complete background analysis of the Asia-Pacific life and non-life insurance market, which includes an assessment of the parental market, emerging trends by segments and regional markets, significant changes in market dynamics and market overview, is covered in the report. 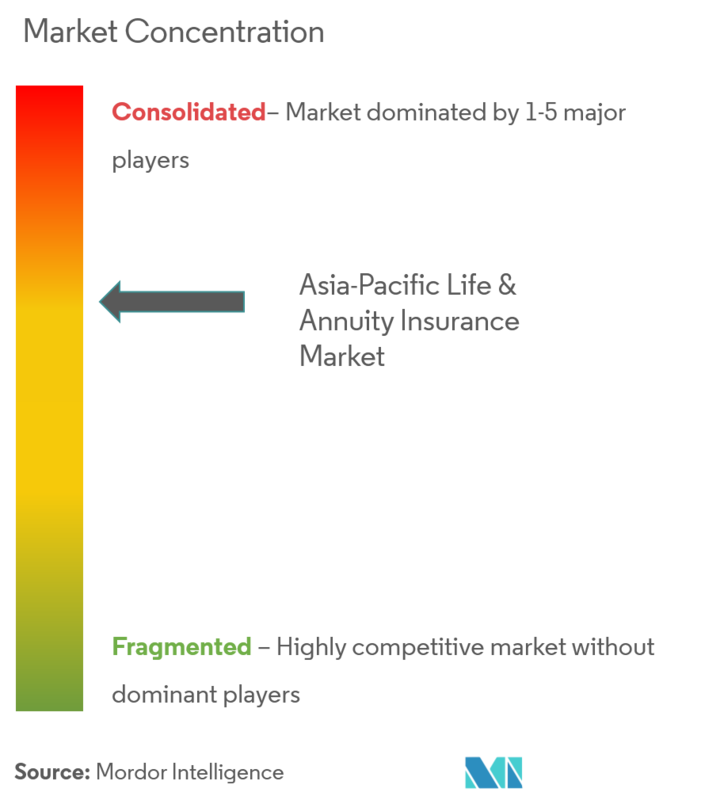 • The life insurance is the largest segment of the life insurance market in Asia-Pacific, accounting for 80% of the market's total value. • The pension/annuity segment accounts for the remaining 20% of the market. • The number and the amount of new policies for individual annuity insurance were 2.08 million and JPY 11.644 trillion, respectively, increasing both in number and in amount from the previous year. • In all the new policies for individual annuity insurance, the number of fixed individual annuity insurance was JPY 1.93 million, and that of variable individual annuity insurance was JPY 0.13 million in 2015, with fixed individual annuity insurance increasing for the first time in these years. 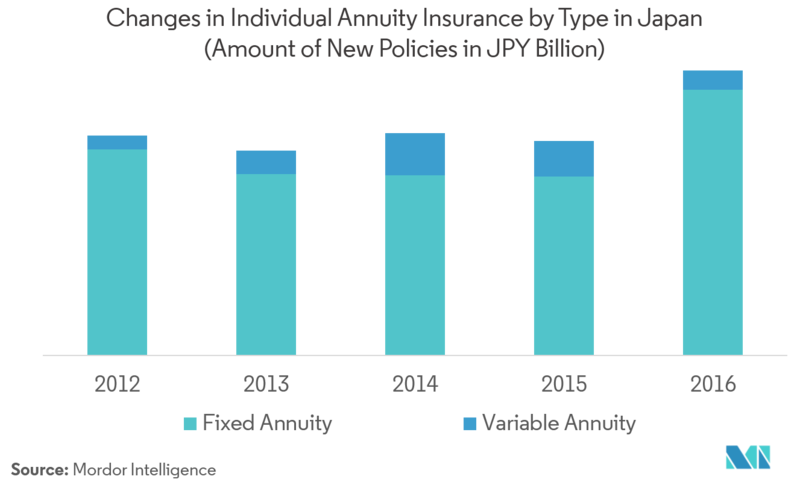 • In all the new policies for individual annuity insurance, the amount of fixed individual annuity insurance was JPY 10,336 billion, and that of variable individual annuity insurance was JPY 757 billion.